Custom cast stone signage is with carved lettering (neutral or colored is standard) on all stone signs. Lettering depth can range from one-quarter inch to one inch, depending on job requirements and desired shading effects. Optional raised-stone lettering offers a very elegant and constantly changing appearance as sunlight is cast at differing angles throughout the day and year. Cast stone signage blanks are available for customer application of metal lettering or special adornment. Freestanding monuments and berm signage is a specialty. Apartment owners and developers really appreciate the ability to quickly turn any design into cost-efficient EternaStone. 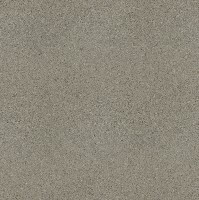 EternaStone cast stone is priced favorably to premium sand blasted natural stone and redwood sign and offers practically eternal life. It is available through selected major signage companies or direct from us to the customer.